This page will be updated periodically as new information becomes available. The Greenbank Marsh Working Group is an informal organization of stakeholders who share a common interest in improving surface water management and enhancing the natural environment in the Greenbank marsh and beach vicinity. Representatives from Greenbank Beach & Boat Club (GBBC), North Bluff Association, Greenbank Beach Water Company, and other neighboring property owners formed this group in July 2017 to provide a collaborative forum for stakeholders to participate in the design and planning process of the open channel restoration project at the GBBC tidegate property, and to address related drainage concerns throughout the Greenbank beach community. The Working Group is committed to gathering and using technically valid information on tides, stormwater, etc, to inform future solutions. The Group is hosted by the Greenbank Beach and Boat Club, with support from Whidbey Island Conservation District. 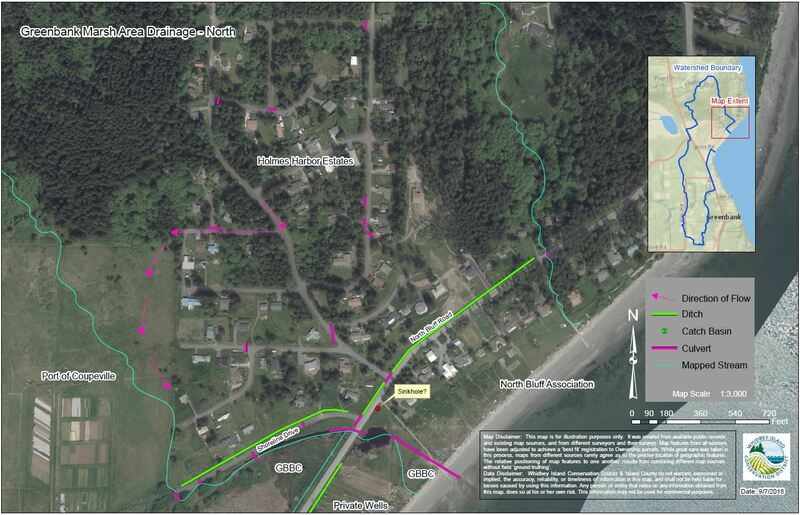 Island County Public Works and the Port of Coupeville serve in advisory roles. For more information about the Greenbank Marsh Project, please contact Matt Zupich. Sign up to receive a great wealth ​of natural resource conservation information and expertise sent directly to your inbox. 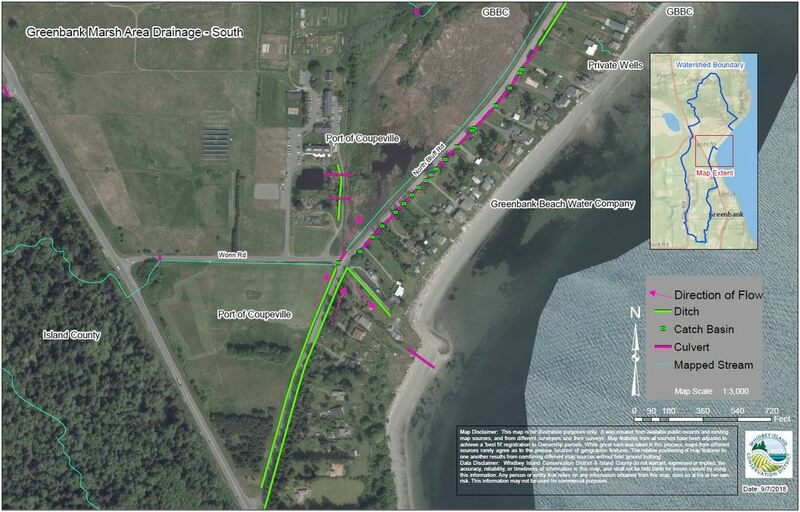 ​9:00 a.m. - 12:00 p.m.
​1 NE 4th St, Coupeville, WA. Open to the public. ​To view the 2019 Board Meeting Schedule for the Whidbey Island Conservation District, click here.